If you are looking for a very comfortable pair of non-spiked shoes, I would highly recommend the Adidas Ladies Adipower Sport Boost Golf Shoes. Very stylish, well made and come with water proofing which means you can wear them in the various climates. They fit quite small, so you do need to go up a size. 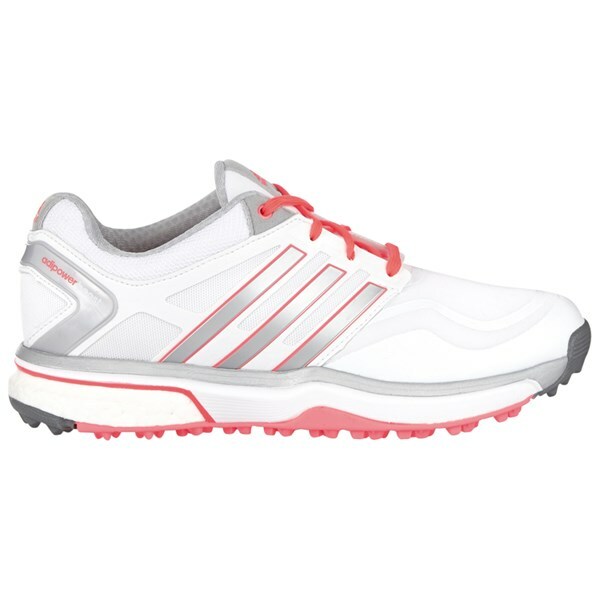 The adidas Ladies W adipower Sport Boost Golf Shoe is a lightweight athletic style golf shoe that features the new adidas Boost Foam technology to provide instant long-lasting comfort. We Recommend you to buy half a size Bigger than your usual size. 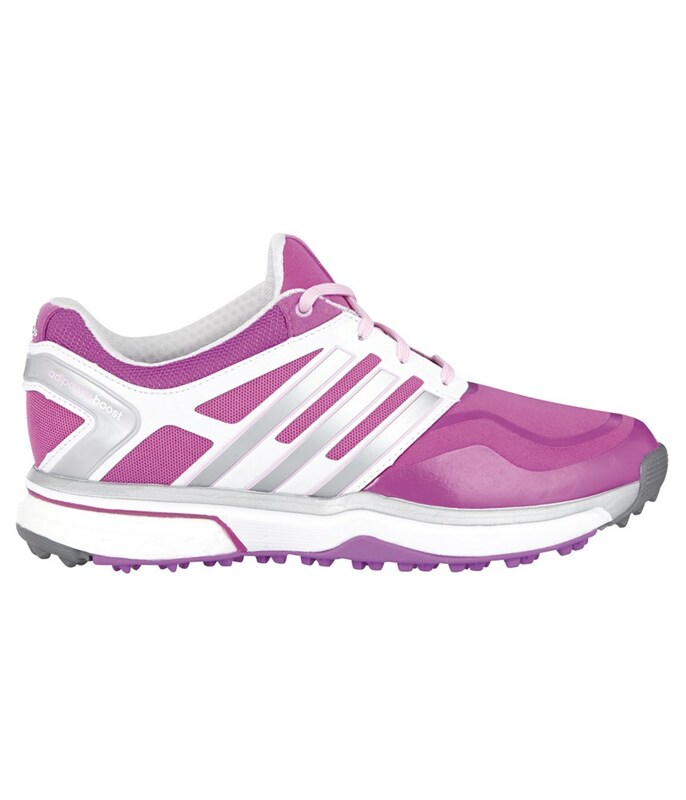 Boost Foam technology is located in the heel of the Ladies W adipower Sport Golf Shoe to increase comfort, reduce fatigue and act as a shock absorber when walking the golf course. 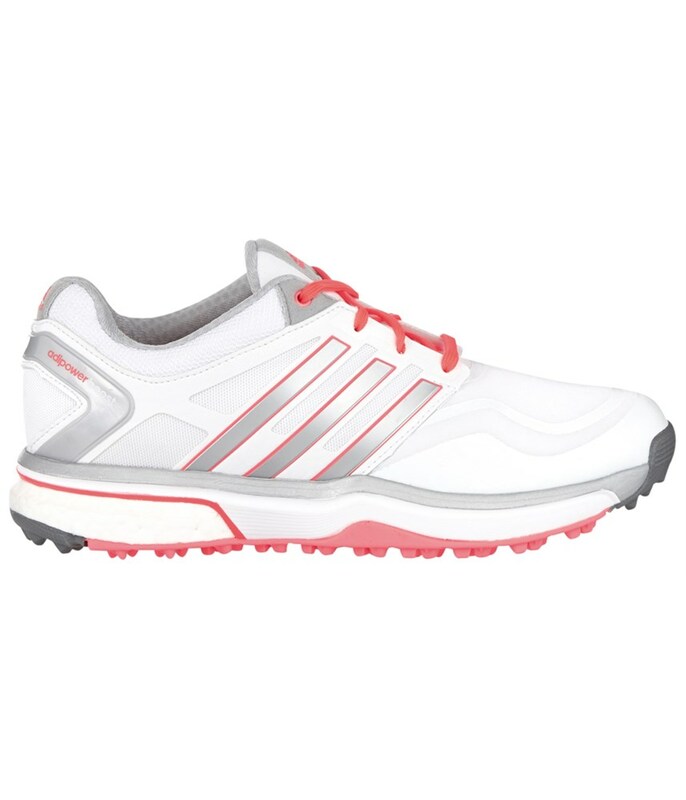 The athletically styled upper on the Ladies adidas adipower Boost Golf Shoe has been made from a lightweight and stretchable upper with a bonded PU weld for added protection and durability. 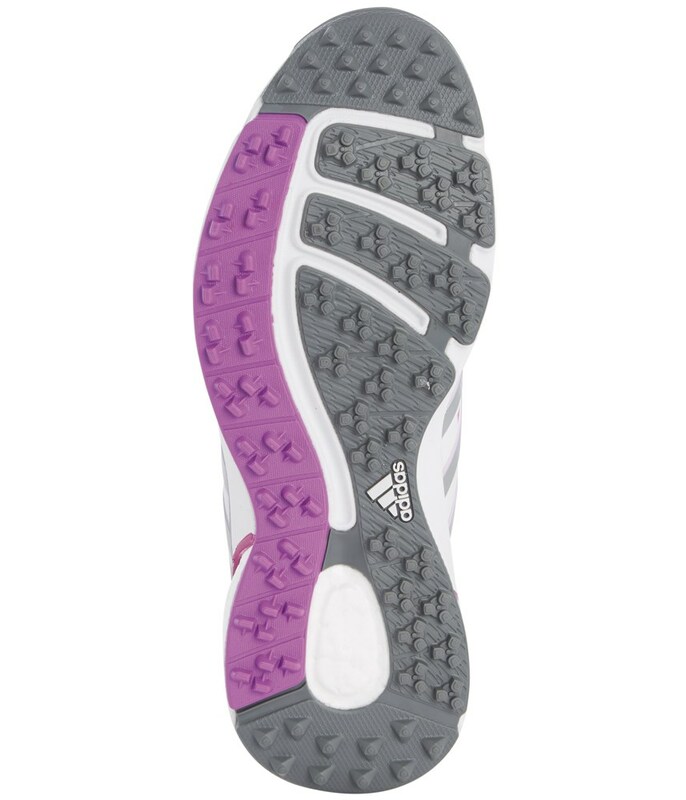 The upper also features climaproof protection technology, defending you from any water penetration whilst allowing your feet to breathe. 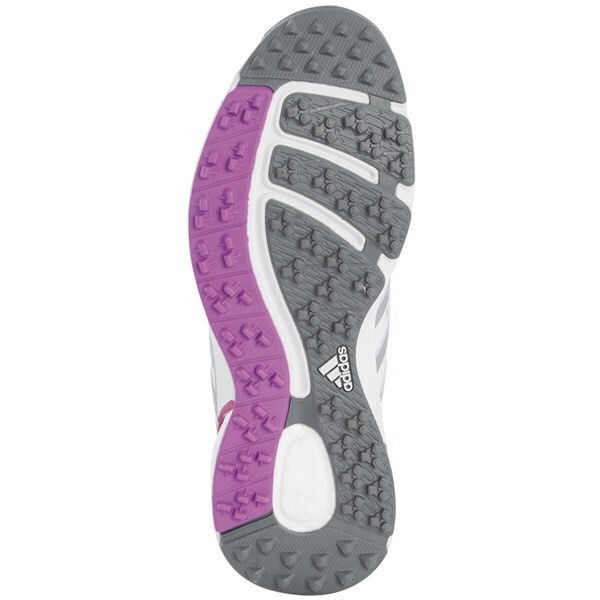 adidas have designed the outsole using strategically placed puremotion TPU adiWEAR traction plugs to provide you with improved stability, grip and performance. 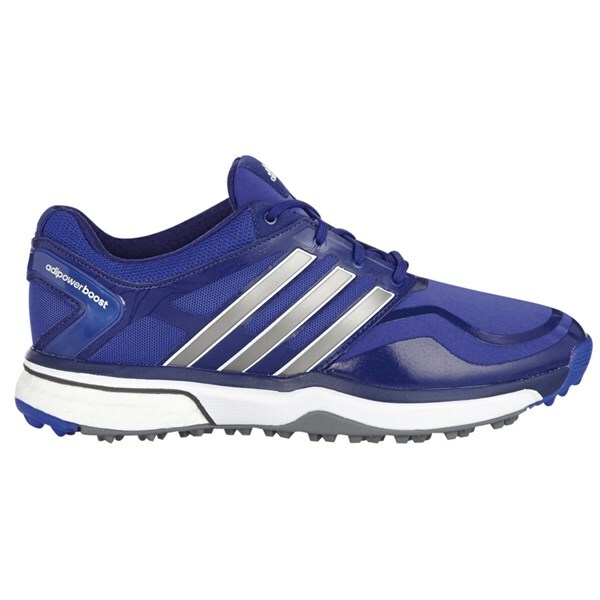 The combination of these technologies has allowed adidas to design a lightweight golf shoe that will protect you from the rain and also give you the levels of grip and traction needed to perform at your best all year round.